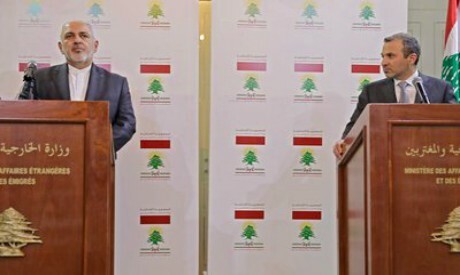 Zarif reiterated during his news conference with Bassil his country's readiness to offer Iranian military assistance to the US-backed Lebanese army, adding that it is up to the Lebanese to choose what they want. ``I want to confirm again that the Islamic Republic of Iran is ready to cooperate with the Lebanese government and the Lebanese army in any field they see suitable,'' Zarif said. ``We don't want to embarrass anyone in Lebanon through the cooperation with the Islamic Republic,'' he said, adding that there is no international law that bans Iran from cooperating with any country.